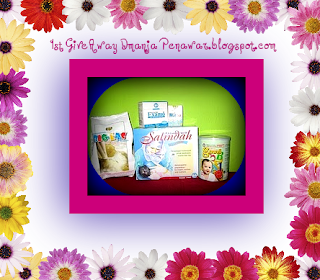 ALL IN CONTEST: 1st GiveAway from Dmanja Penawar. 1st GiveAway from Dmanja Penawar. KLIK UNTUK HADIAH iPAD PERCUMA!!! HEADER PERCUMA!! SIAPA TAK NAK? TUTORIAL PENUH UNTUK DAFTAR HEARTBEAT! AFFILIATE. MUMMY NAK KASI GIFT LAGI!!!!! "2ND GIVEAWAY - BARNEY & WEIYDA FAMILY (MAC)"
GA : LET'S GO GREEN. SAVE THE EARTH! ADA GAMBAR SI KECIL SEDANG TIDUR?.. ALL IN ONE: KLIK & GIVEAWAY SEHINGGA 16 MAC 2011. 1st Giveaway ZT Blog ! Ada tak gambar tengah study? Reen's Diary Giveaway Lahh !.. "cik azie lucky follower "
"1st GiveAway by AnnaLeeya's Family". IZAN@SweetOmoide 7th Anniversarry Lucky Draw. My 1st Giveaway by Shida dan Esya "
"1st GIVEAWAY : 'BLACK' BAGI DIRI MU?". JEMPUT KLIK LINKS UNTUK JOIN HEARTBEAT!! 1ST GA SAYA NAK BROOCH TU!!!!!!! Pandai Ke Kamu mengEdit gambar?